Key difference: Both, Kung Fu and Tai Chi are Chinese form of martial arts, while the difference lies between their techniques. Kung Fu are external form of martial arts, their practices emphasizes more on the strength and speed of an individual, whereas Tai Chi is an internal martial art form, whose exercises emphasize more on the balance, stability and sensitivity of an individual. Kung fu involves a wide range of Chinese martial arts. They are the most dedicated and disciplined form of exercises, which are practiced and followed all over the world. 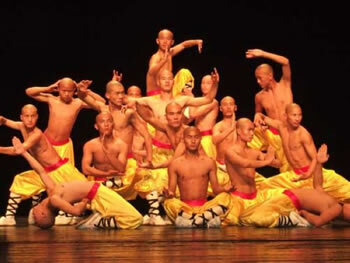 Their origin was traced from the 4th century and was originated at the Shaolin temple, China. Kung Fu is a science in itself, which trains an individual to move the body in a continuous circular motions and turns. It refers to an individual’s commitment and dedication towards the skill and art, which is obtained by hard work. It is the most ancient form of martial arts practiced in China. In Kung Fu, the aim is to cause as much damage as possible without losing balance, so strikes are extremely quick and controlled. Its actions are habituated from the animal moves and styles and are initiated from one of five basic foot positions, which are normal upright posture. The remaining four stances are dragon, frog, horse riding, and snake. It is an open martial art, which means that, its styles can be adapted only by those practitioners who are perfect in their actions. Tai Chi (also T'ai chi ch'uan / Taijiquan) is a Chinese origin form of martial arts, which generally focuses more on meditation and stability. It was influenced form the Taoist and Buddhist monasteries. Today, it is one among the appreciated from of exercises. Kung Fu is a primary unarmed Chinese martial art. T'ai chi is a Chinese system of slow meditative physical exercise designed for relaxation and balance and health. The movements are floating and circular in types with all concentration on that specific action and move. The movements come from majority of weight on one foot and are slow, graceful movements that mimic the flow of energy through the body. They are generally defensive and danger form of martial arts. They are not that defensive as compared to that of Kung Fu types. As a whole it is concentrated in both, the external and internal form of exercises. As a whole it generally concentrates more on the internal form of meditation along with the exercises. The clothes and uniforms varies by style and school, but often includes kung fu pants (a loose fitting, elastic band cloth garment), kung fu shoes and a belt. Tai Chi uniforms are exactly the same as Kung Fu uniforms (sometimes spelled Gong Fu uniform). It is both the hard and soft martial art. It is a soft type of martial art. Tai Chi (also known as T’ai Chi Ch’uan or Taijiquan) is a perfect combination of Chinese dialectic ideology, art and martial arts. It bears a close relation to Chinese ancient Taoism, under the guidance of which a series of practice methods were formed for learning martial arts. It is characterized by attacking, by accumulating the strength, by conquering the unyielding with the yielding skills and defeating the dynamic with the static. Moreover, this Kung Fu style is a good regimen method to cultivate shape, breath, strength, quality and spirit of the human body. Due to these distinctions, it is considered the quintessential Chinese culture. 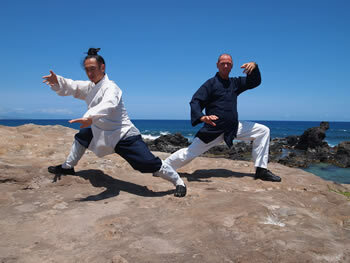 At present, there are five major styles Tai Chi. Each of them is named after the corresponding Chinese family from which the styles originate. They are Yang Style Tai Chi Chuan by Yang Luchan , Chen Style Tai Chi Chuan by Chen Wangting, Wu Style Tai Chi Chuan by Wu Yuxiang and Sun Tai Chi Chuan Style by Sun Lutang.